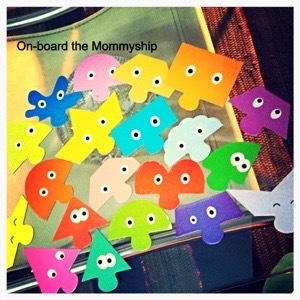 On-board the Mommyship! 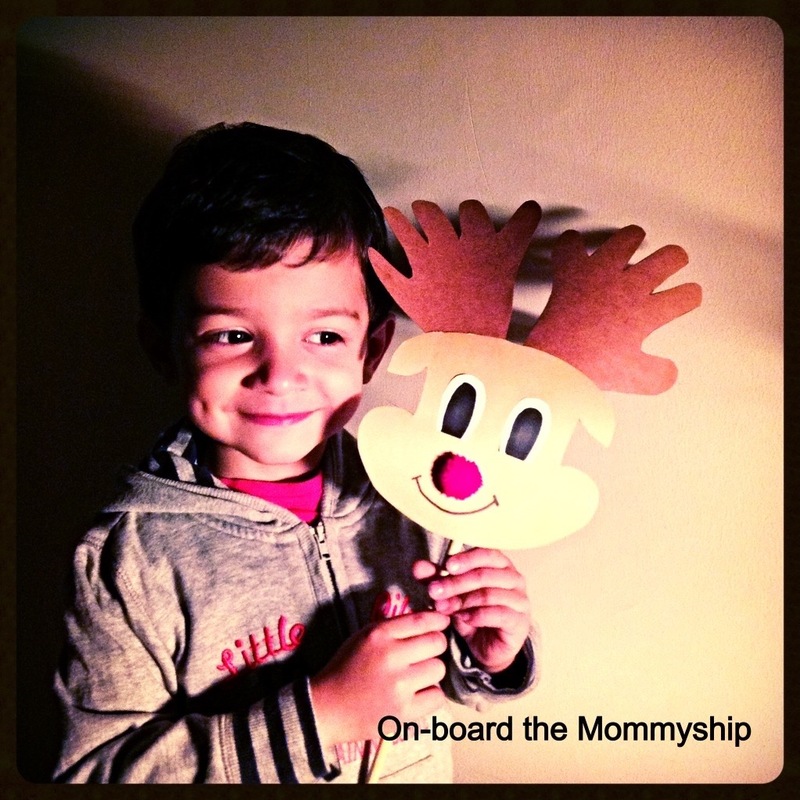 | From pregnancy to motherhood and beyond…my journey of learning a whole new language! 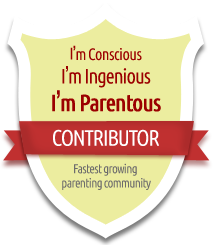 A parenting journal with a twist! 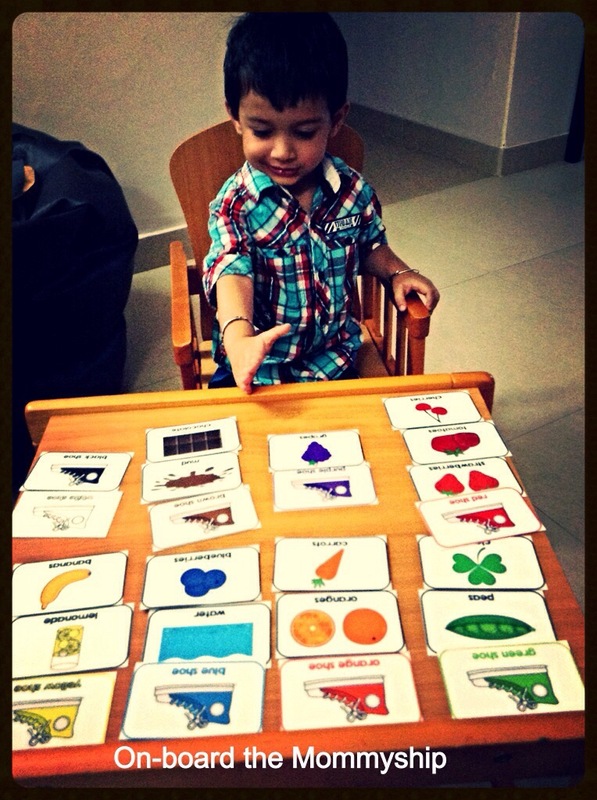 From pregnancy to motherhood and beyond…my journey of learning a whole new language! 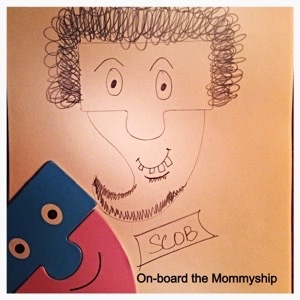 A parenting journal with a twist! Puzzles, as they should intrigue V and so I have carefully gathered age appropriate puzzles that challenge and occupy him. And like is practice with many of our toys and games, we rope in a story element. For example in a colour matching puzzle set, we talk about the images and objects and try to recall a story in which it appeared. If we can’t figure out a story where we have seen it, then we try and makeup a situation where the object can be used. Puzzles by now are our favourite playmates. 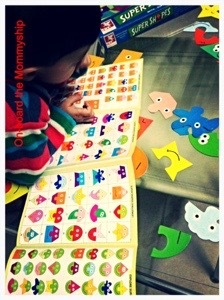 Puzzles for a toddler are great for concentration, logic, hand and eye coordination and memory. And over a period of time we have graduated from wooden puzzle boards, to simple puzzles and memory games. And I am always on the lookout for some thing new and exciting. When ToyKraft approached me for a toy review I asked for products that explore the creativity in a child and have applied storytelling. At the heart of it, Super Shapes is a puzzle set about shapes. With 20 shapes ranging from basic to innovative, the shapes contain 2 pieces each. So besides the square, circle, rectangle and triangle, there is the leaf, shell shaped, organic, 5-point star & 6-point star besides others. 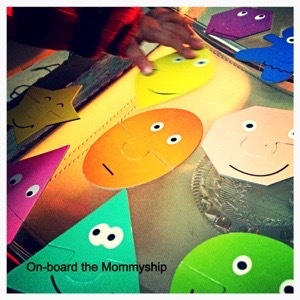 The shapes are colour-coordinated and pretty easy for a child to sort and put together. The upper part of the puzzle piece has eyes and the lower piece has the mouth, making the whole puzzle look like a face with the connector in between becoming the nose. With both pieces put together, the face shows up quite a unique expression! We used this to discuss expressions, trying to make them ourselves! But then that’s about learning shapes! Over a period of time, V transformed it into a memory game of sorts by turning the shapes overleaf, such that all looked white (so there was no colour matching for him anymore) and now he really had to match shapes objectively. What happens next is the best part. 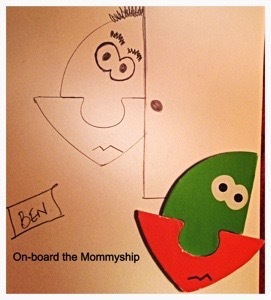 By putting together two disparate shapes, one can come up with a third figure that looks like a quirky face! V loved the quirky face game, mixing up the square with a circle, a star top with a triangle, an organic head with a leaf shape. The set comes with a manual showing some of the 380 possibilities! Yes…there are 380 possibilities of faces! And really he has not tired of it! Super Shapes is great for kids starting 3 and above and can be used by children, well, up to even 10! 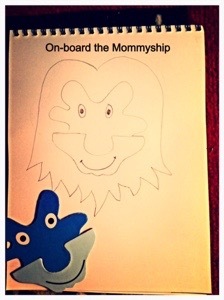 Ask an older child to make up quirky faces and write a story around the character. There are 380 possibilities…there are 380 stories waiting to be written. (A puzzle is hardly judged by looks, but in this one I appreciate the creativity when it comes to teaching innovative shapes. What learning toys do you like to buy for your kids? Do you let them pick their own toys? What do you think of puzzles as toys for children? 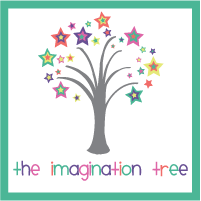 Do you buys toys that let a child improvise and use imagination in his play? Did you find this review useful? Please share your thoughts. We consider our toys very precious. They are our Playmatesand we pick our friends very carefully. Our reviews are borne out of our experiences and are completely unbiased, even when they are sponsored. Googly wanted a pet, really, really badly. Most of his friends in class had pets at home; they told so many pet stories at school. Vikky would always boast that Max his dog wagged his tail when Vikrant returned from school. And Pixie, Poppy’s cat slept next to her in her bed! Poor Googly had no pet and so he had no pet stories to tell. Googly sat thinking, chewing his toast silently. “I want a Reindeer…just like Santa!” he said. “Oh! We must ask Grandpa Santa for it? After all he has the best Reindeers in the world!” said his mother. So with Christmas still far away, Googly decided to write a letter to Grandpa Santa! Thank you for the all the lovely books and toys that you leave me every year. The car that you gave me last year is my favourite toy! This year, do you think you can gift me a Reindeer? One…just like Rudolf? Now Christmas was a few months away, would Santa then grant him his wish? One night as Googly was sleeping in his bed, he heard a soft scratch on the glass window. He woke up rubbing his eyes and went to the balcony. He pushed it open and there out on the ledge was a sack…that was moving!! Google touched the sack. It stopped moving and out popped a tiny head with sticks on it! There were two twinkling eyes, blinking and looking back at Googly. Googly rubbed his eyes. And then his eyes grew big, big and bigger! 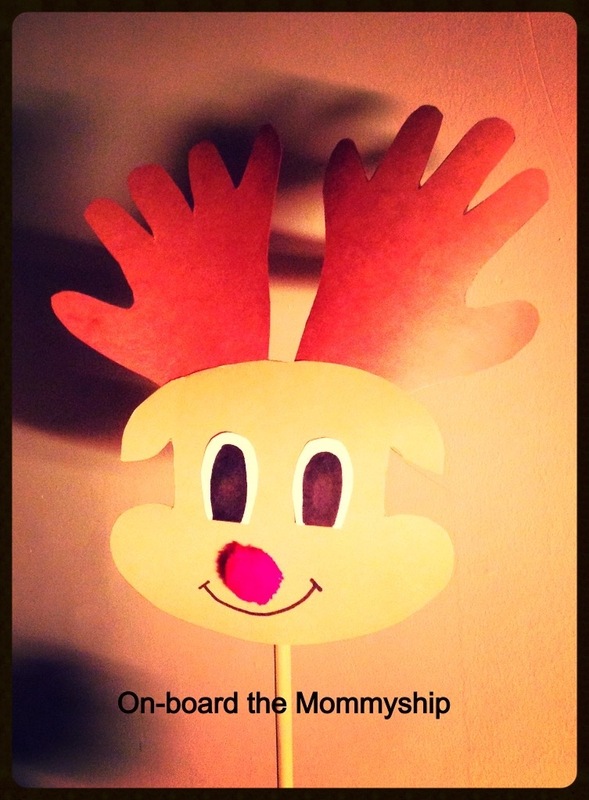 Googly touched the reindeer gingerly…scared and anxious at the same time. He touched its nose and the reindeer let out a soft cooo! The reindeer poked Googly in the rib with his horns and Googly burst out laughing! Maa found Googly and the reindeer in bed the next morning! “Frudolf! 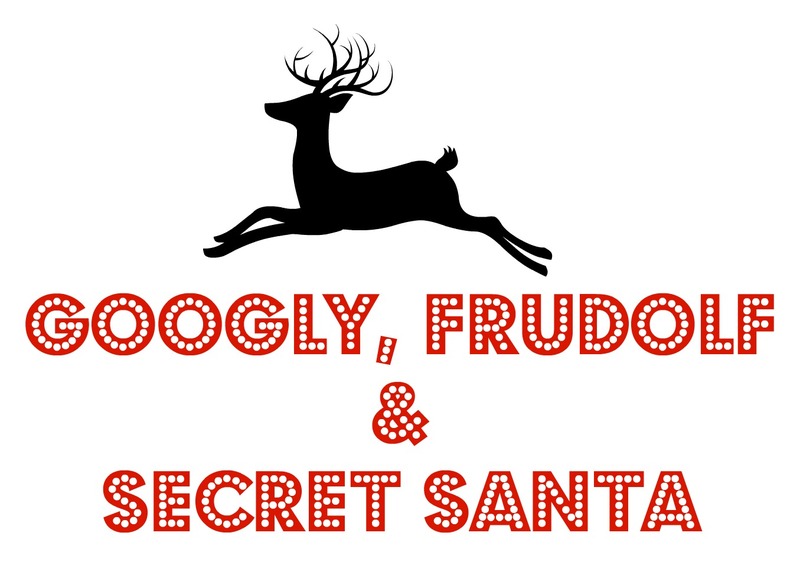 !” said Googly, “You know like Rudolf, Santa’s Reindeer! He has a red nose too!” he said touching Frudolf’s nose. Frudolf twitched his nose and poked Googly in the ribs…making Googly burst out into peals of laughter! From that day…Googly and Frudolf became best friends! They’d eat together…Googly would eat his cereal while Frudolf would munch leaves from Maa’s favourite flower pot! They’d play together…hide and seek where Frudolf would never find a place to hide! His horns gave away his hiding place every single time! They’d race together…doing the Reinder Trot. But Frudolf would win it always! And every time Googly made a loser face, Frudolf would poke him to get him to start laughing. Summer turned to autumn, autumn to winter. Googly by now had a new Frudolf story to tell his friends every day! He told them about the time when Frudolf and Googly went to visit Santa and meet the other Elves, and how Googly had the entire Disney land to himself…and how they met some of Googly’s favourite characters from books! Googly and Frudoolf were a team. Now it was nearly time for Christmas and suddenly Frudolf was sad. He was missing home. “I am a big reindeer now! I want to go back home. I want to ride with Santa this Christmas,” he told Googly. “But doesn’t he have his eight 8 reindeers already? Why would he pick you?” asked the boy! Googly was confused. Why did Frudolf want to go back to Santaland suddenly! Wasn’t this his home? “Why do you want to go back anyway?” he asked. “You live here, with me,” he whispered, biting his lip. Frudolf went and poked Googly in the tummy. The boy turned and smiled. “Yes, all the good children,” said Googly, “The one’s in the “good children’ list, I know, I have always been on the list,” he added with a big smile now. “Yes, Googly. But there are many children who are good but are not Santa’s list!” said Frudolf. “How can that be? Santa gives gifts to all the good children, doesn’t he?” asked Googly. “Santa is only but an old man, Googly. He has only one night before Christmas to give gifts away, how can he reach everyone? In fact, there are many children who don’t know Santa exists!” said the reindeer. Googly had never heard of any child who didn’t know of Santa! “How can that be, everyone knows Santa! And Santa doesn’t leave gifts for all children?” Googly was surprised! “No, he doesn’t. And that makes him very sad. Every year the reindeers fly quicker, taking Santa to as many homes as we can, leaving behind gifts for little children. But even then there are so many they can’t visit,” said Frudolf. Frudolf and Googly looked out of the window. “Wish we could do something about it,” said Frudolf. And suddenly Googly had a brilliant idea!! “If Santa can’t reach children’s home, why can’t we?” he said. “What do you mean” asked Frudolf. “I will be a little Santa, and you my reindeer,” said Googly, clapping and jumping at the same time. “I have so many toys that I don’t play with anymore. There are so many clothes that I have grown out of. And there so many books that I don’t read anymore. I will give them away to children who need them now!” said Googly smiling. “Oh! That’s a wonderful idea Googly! Children will call you the secret Santa!” said Frudolf. Frudolf and Googly were so happy that they did their Reindeer Tap Dance!! 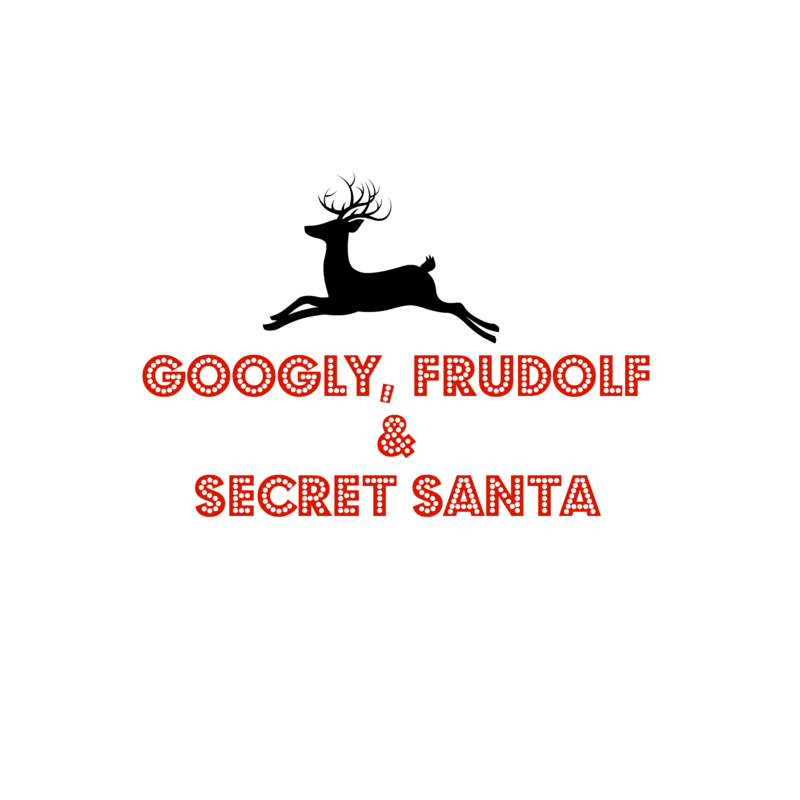 That night, Googly put on his Santa suit and flew with Frudolf on his sleigh, flying to homes of little children in homes that Santa didn’t know of. And as little children slept, the Secret Santa left behind little gifts for them. His favourite bike, his baby rocking chair, his lovely summer hat that doesn’t fit anymore and the brown shoes Baba bought him, a size too small for his feet. That night Googly, the Secret Santa slept with a smile on his face. This is my first story written for Googly. Those of you who have read my blog since its inception know a lot about Googly 🙂 Would love to know what you think of it! A special thanks to Chitra Soundar! Your practised hand at children’s writing helped me polish this. This post is part of #ChristmasBonanza where a bunch of bloggers are posting awesome blogs on Christmas all this month! Come join a set of fabulous bloggers sharing their Christmas moments – Easy Holiday Crafts, DIY ideas, Recipes , Decor ideas and book recommendations with you . Can I relive a day again? Again and again and again? 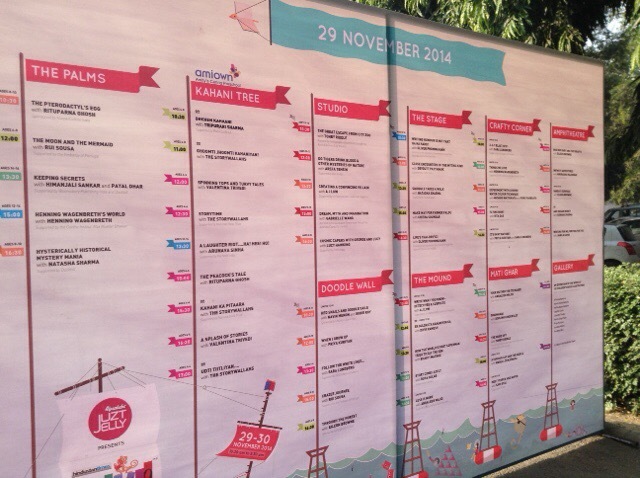 I’ve tried to sleep all night thinking about the wonderful day I had at Bookaroo Lit Fest yesterday. Nursing my aching feet (for having hopped and walked from one venue to another), and getting used to a booming and scratchy throat (that usually follows a high-energy performance). But what really kept me alive are the hundreds of twinkling eyes looking back at me. The sparkling smiles, the anxious looks, the expectant frowns and the peals of laughter that flowed out effortlessly. This is the stuff that makes my life today. The Little Things That Matter! How much Is that doggie at the window? Okay I got carried away in that! I have faint fading memories of a classroom full of wooden benches and toys, a rocking horse and a very strict Teacher Collins who we grew up to fear even in high school. Back in the day Convent education started early and even as Teacher Collins magically transformed into Santa Claus every Christmas riding us toffees on a bike, her persona through the rest of the year scared me to death and back! I must have learnt the usual bunch of Mother Goose Rhymes but then as the ‘Little Blue Song Book’ took over, most of my growing up tunes comprised of 5 Hundred Miles & Colours in the Rainbow. Rhymes receded into the unknown folds of kindergarten memories, never to be visited again until the moment when I became a mother! Three decades later, I found myself at a loss of tunes as I tried to nurse, soothe and put my new born to sleep. Having been the voracious reader that I was, I had already started talking to the baby after the 17th week, knowing well that the Googly (the baby as we called him in the womb) was listening to his mum’s voice. But singing? What could I possibly sing? I hummed old Hindi film songs, the ones my father put me to sleep with. They worked! So the song list became a huge hit! While the bedtime songs worked, I worked on putting together another play list of songs to keep the boy awake. Having a new born doze off to sleep in the middle of a feed, or have less playful hours or cranky bath sessions meant I had to reinvent the wheel and come up with new distractions. And that is when the world of nursery rhymes came rushing back into my life once again! However, like with everything else that came with motherhood, my sense of research and studies on rhymes and children’s songs took a diametric turn towards discovery and revelation! For example, did you know that Humpty Dumpty has several interpretations and allusions through history and literature? Popular perception attributes the anthropomorphic egg to King Richard III who had a humpback and lost a battle despite having an army. Another reference is to the city wall of the British town Colchester. The wall that was called Humpty Dumpty that crumbled under the heavy weight of its own cannon. Despite having men and armies, the wall could never be resurrected. At another point I discovered that Ringa-Ringa-Roses referred to the London Plague of 1665 that caused many deaths, particularly children. And so suddenly one day, from a young mother buried under excessive research, I decided to keep things simple. Peppy, animated and easy to sing (with complete abandon & no regard for pitch or scale), nursery rhymes soon took over my preferred choice of music for varied activities. I would hum, sing and animate rhymes with actions and movement for my infant to watch with is eyes open wide. His tel maalish before his bath would be exactly five minutes and in all that massaging, tugging and squeezing I would sing One, Two, Buckle My Shoe. Bedtime rituals included Go to Sleep My Baby followed by the classic Twinkle Twinkle Little Star. As V grew up, we brought home our first iPad and while the father and mother customized the shared device with apps of our choice, we also looked at justifying the purchase by saying it would be so useful for the child! And that was the beginning of a terrible mistake that we made early on. 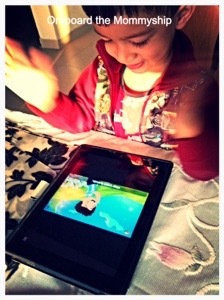 V was only about a year old when we showed him his first experiential nursery rhyme on an app. Touch and tap and the stars moved, tap the cow and its moo-ed, tap the garbage can and the cat peeped out! To a little boy this was nothing less than magic. And then began the tantrums! 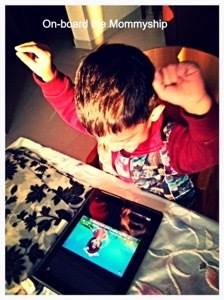 Much to our horror, V would throw a fit if we didn’t show him the iPad and we were at a loss of ideas. All it took was a firm NO and an immediate disappearance of the gadget from all our lives. We used it only when V was asleep and removed it from his universe completely! Did he miss out on rhymes then? Oh no! For his humour and our play I downloaded songs from YouTube and put them on a pen drive to play on the television. With most of them being action based songs, every day we had a gala time putting our hands, feet and bodies moving. The YouTube is an exhaustive resource of songs, rhymes and animated stories for children. I usually have a host of international channels subscriptions and downloads for the now rationed digital experiences that V has. Unfortunately, I have found very few Indian productions that meet the basic levels of quality. With poor pronunciation, music production and uninspiring animation, I have mostly stayed away from indigenous playlists and channels. Breaking the clutter is a new, fresh and vibrant YouTube Channel called KidsHut with a host of Nursery Rhymes, Bedtime Stories and Things You Want to Know. First as a parent and now as a storyteller I work very closely with children of all ages. With my own being a 3 year old bubbling toddler, I continue to work with young children. My Busy Bubs Happy Program is meant for the younglings, with toddlers as young 18 months attending my sessions with their mums. Children have a keen sense of music and it is always the one thing that perks up every session. 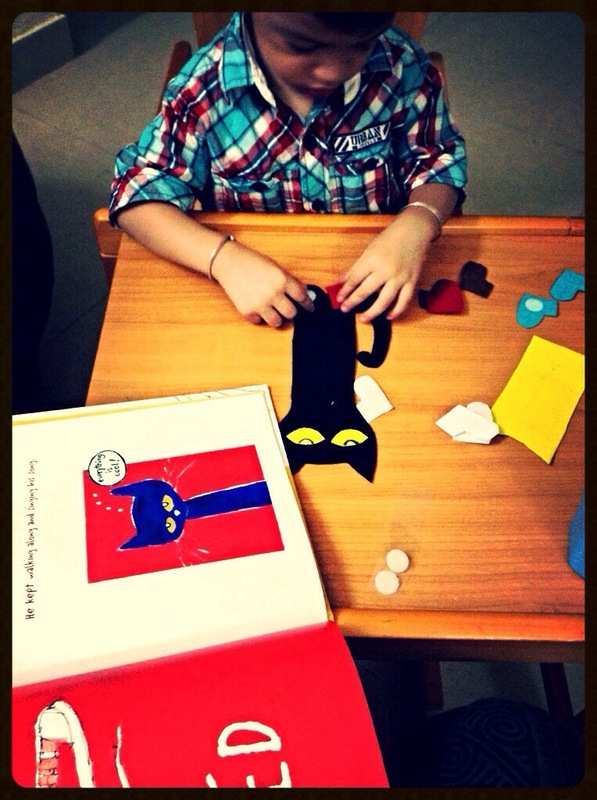 Between a story and rhyme, songs and activities each session has a carefully knitted experience for the child. So if I read the book Goodnight Moon, we do the Twinkle Twinkle song with actions. Resources like Kids Hut then act as a complementary aid taking the experience to the next level of audio-visual stimulation where the child sees something familiar and learns to make connections. Now imagine explaining to a child why the moon shines! V and I spent our morning going over the Kids Hut playlist in detail. We went over the rhymes that we all so love, with Wheels On The Bus inspiring us to sing it with actions. Head and Shoulders is another ditty that inspires us to get up and flex our muscles. Try raising the tempo of the song and it will have all the adults huffing and puffing! Old MacDonald is a favourite that has been passed down almost like a family heirloom to us, with each generation loving the song as much. So no matter how many versions we have heard, there is always a fresh one at disposal. What I really like about the Kids Hut stories is that they have created the lovely brother-sister characters of Tofu & Tia where the latter being the older sister very gently weaves in stories to explain simple concepts and morals. After all, that’s what stories do? Take the 3 Little Pigs for example. The story is a classic that almost everyone has heard of. Tia explains the concept of resourcefulness through the story of 3 Little Pigs and how finding a solution is not always tough! If I were to weave in a lesson in the story, I would also try and teach a child about objects and weights. Making stories experiential have a better connect with children. It was only very recently that I told V the story of Red Riding Hood. He also happened to hear a version of the story in school. In my telling I had the wolf lock up the old grandmother in a wooden cupboard. The thought of an animal wolfing down a grandmother could be a potential source of nightmare and so I changed it. In the school V heard the other version and the Kids Hut story has the same mention. When I asked V to retell the story, his wolf ate up the grandmother too! There is just as much as we can tell our children! Most of what we browsed in the channel is fairly good, especially the Tia & Tofu series of stories and ‘Things you want to know’. Some videos disappoint in terms of music and animation, falling into the trap of unimaginative and repetitive animation. Every Wednesday and Friday there would be new videos up on the channel. So pick and choose what you and your child like. Kids Hut gets a satisfied 3-thumbs up from V and his Amma. We would like to know what you thought of the Kids Hut YouTube Channel. Which are the videos that you liked and what did you think of the stories? Thank you BlogAdda and Kids Hut bringing this opportunity to bloggers. Look around you…Oh so many magical resources to make Diwali so special. I hope you are enjoying the Diwali Dhamaka Blog Hop! And why not? Diwali is the mega-festival of the country when there is bountiful cheer and happiness. We prep our homes, by scrubbing them clean, renovating and up-scaling the decor, light diyas, prepare gourmet sweets and spread the joy of the festival with friends and families. With a 3 year old toddler at home who is always bursting with questions, my role as a parent is to bring in experiences that answer his questions thoughtfully. What is Diwali? Why do we celebrate it? And why do we celebrate it the way we do? 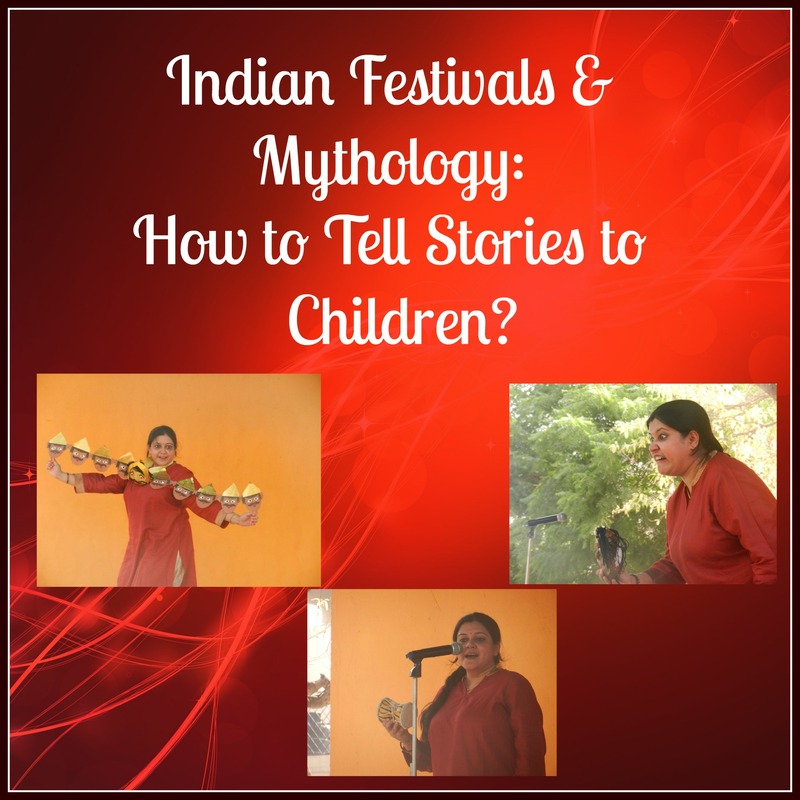 To a 3 year old this may seem like a barrage of thoughts but as a parent and a storyteller, I look at it as a gateway into the magical world of Indian mythology. Mythology is a tricky genre. Especially Indian actually. There are too many Gods and Goddess, too much violence and anger and definitely a lot of bloodshed. Let’s not get into lust, envy, debauchery, treachery and revenge. The first time I ever touched mythology was during a telling of Krishna and other mythological stories during Holi. With the youngest in the audience being 2.5 years, the real challenge was to glean out the cruel acts of King Harinyakashipu and his intentions behind killing his own son! Sacrilege!! A father killing his own son? Unfortunately these are the tales that make up Indian mythology. So do we not tell them to young children? I’d say why not? What matters is the telling – what you tell them and how you tell them. For most of us our childhood was marked by Ramanand’s Sagar epical Ramayana on television. How can we forget those days? Huddling before the television to watch our Sunday dose of Ramayana and then curling up before my grandmother to understand what we all saw. Making sense of television was also an important element of storytelling! Now of course children gather so much from television that it is a little futile sometimes to de-construct visual stories. The story of Ram ends with Diwali and so any telling of the Diwali story has to begin right from the start. My tryst with Ramayana began ahead of Dussehra as I told the Ramayana for the first time. With an enthusiastic bunch of kids some who knew the epic very well, others who were getting a taste of it for the first time, the challenge was to make it fun and engaging for the kids. So really, how can we retell Ramayana to children minus the gore, violence and the tyranny of a step mother? How can we really make Ram more alluring to children than the fantastical Ravana with ten heads? Who is the hero, who the villain? Do we really want to make the distinctions for children? What to keep and what to eliminate in the telling of an epic poem? If you haven’t tried telling the Ramayana, then a good starting point would be now. And this is how I did it. Ramayana is a poem that runs into 24,000 verses none of which our generation knows. It’s a mega story with several characters, many inter-connected events and innumerable lessons. So pick what suits you and your child. 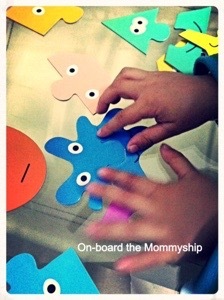 Pick the elements that string the story in a beautiful chain of events that make sense for the child. The key in the entire exercise is to enjoy the story, because that’s what makes any story memorable. I built a structure of Ramayana around events in the story that are enough for a child to make sense of it. The story begins with Dasharath, his three wives and four sons. Of how Dashrath chooses Ram to be King and how Kaikeyi wanted Bharat to be King instead. So Ram is sent off to vanavasa with Lakshman and Sita in tow. The forest is a dangerous place where there are many demons and demoness. Surpanakha is one such demoness. When Lakshman cuts Surpanakha’s nose she runs back to Ravana. Ravana gets very angry and decides to punish Ram and Lakshman. So he abducts Sita and takes her to Lanka. Jatayu the magnificent tries to save Sita but Ravana clips his wings. Ram and Lakshman on their way to finding Ravana reach Kishkinda, the land of monkeys. There they meet Hanuman who becomes a loyal friend to Ram. Hanuman flies to Lanka and finds Sita. He decides to give Ravana’s demons a tough time so he burns down Lanka. Ram and Lakshman reach Lanka with a band of monkeys. A fight ensues and Ravana is defeated. Ram, Sita, Lakshman fly back to Ayodhya with Hanuman, their personal carrier. This basic structure, filled with dialogues, songs and descriptions is a compelling telling. You may want to tell the whole thing at one go or make it episodic. Kaikeyi is the archetypal ‘step mother’ who we have grown to fear and dislike. Given modern day families and their structures, I feel it is better to distil the concept of the ‘evil’ step mother. So yes, no Cinderalla! Why feed on stereotypes? So deflect Kaikeyi’s story to say that she wanted Bharat to be King! Simple enough with no controversies. Scholars believe that there’d be no Ramayana if it wasn’t for Kaikeyi and Surpanakha. So a lot rests on the two women who become catalysts for the story. In truth Surpanakha wanted to kill Sita so that she could take her place. Lakshman stopped her and struck off her nose. I prefer the scissor / pinch motif to talk about Surpanakha’s nose. Be careful of how you mention elements like the cutting of the nose, killing of demons and Ravana. Instead, say ‘pinching’ of the nose, or a funny fight dance with the demons. We cannot eliminate violence, but we surely can cushion the impact on little minds. Emotions connect us to stories. We remember stories because we remember the way we feel about them. In all the stories I tell, I like to bring out the emotions that a story has. So illustrate the emotions of loyalty, sibling affection, bravery, courage, awe, joy and happiness. Filter the negative emotions of disgust, hurt, envy and revenge. Revenge is a very strong emotion that children may feel vulnerable to. How we present it is important. I chose to explain it by explaining the relationship between siblings where the older one looks out for the younger one. If the younger one is bullied then doesn’t not the older one go and sort it out? What good is a story, if it isn’t fun? So make up a song, hum a ditty, jump, prance and make up a fight dance. Give Surpanakha a funny face that is meant to scare but adds tickles their bones instead. Give her a voice that makes your little audience giggle and guffaw out laugh! Hanuman’s Lanka escapades are a brilliant moment to improvise with your child and make him / her enact all monkey antics! So go ahead and have some fun. Explain the concept of a Vaanar Sena and enjoy monkeying around! Use everything that you have in you to recreate a character. So give your characters a voice, walk and personality. I used several props in the story that became a source of wonder for my little audience, but then as a parent you may find it a cumbersome exercise. So go with your natural instincts and spend as much time as you want on a character or moment. Ravan is the more colourful character in Ramayana. Look at it from a child’s point of view and you will see what I mean. A man with 10 heads? What a fantastic image! So it is natural for kids to be excited by Ravan. So let them be! Some things are left for children to understand. They don’t need to be told that Ram is the hero and Ravan the villain in the story. Let them decide the course of the story. Give them a story that they can make sense of. Give them a story where they decide who they like. Let them enjoy a story for the spectacle and joy of listening, instead of driving home lessons. Ram’s homecoming and the celebration of Diwali is a wonderful moment to share Ramayana. It is not about religiosity, it is about the joy of a story that a child will encounter twice a year! From Dussehra to Diwali, Ram’s story remains a seasonal favourite. Rashmi in her blog did a wonderful review of Amma, Tell Me About Diwali. If you want to go the book reading way, I would like to add two accompaniments. The first, a prequel to Bhakti Mathur’s Diwali book, Amma, Tell Me About Ramayana has a few more elements of Ram’s story. But if you have the Diwali book, then you can skip this one. Diwali is also a good time to talk about Lord Ganesha and Goddess Lakshmi and why we pray to them. While Bhakti Mathur’s Diwali book covers a small story of how Goddess Lakshmi favours those who do their duty, I have another delightful read for anyone who is interested in some Ganesha stories. Emily Haynes’ Ganesha’s Sweet Tooth is a delightful take on how Ganesha broke his tooth and then went on to write the Mahabharata. The quirky, colourful and intelligent illustrations by Sanjay Patel will stay with any child and adult. Besides this book becomes the perfect stepping stone to introduce Mahabharata to your child. 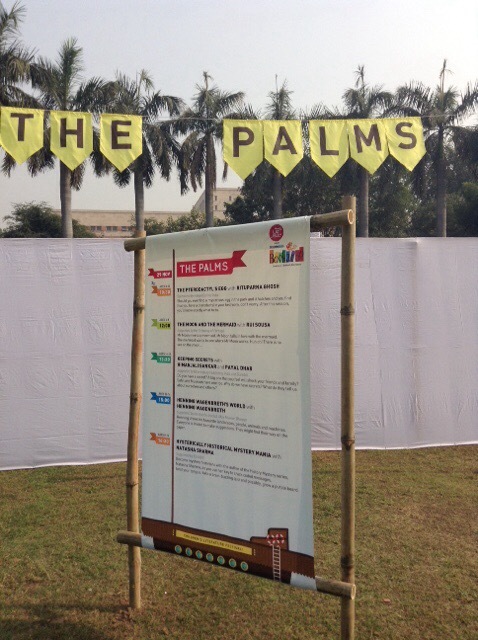 So sit back, relax and check out all the fabulous Diwali Dhamaka posts from our participating blogs in the linky. Freedom and Independence often go together. Don’t they? Between all the patriotic flavour, tricoloured clothes, fancy dress competition and rehashed history lessons and “Mera Karma Tu, Mera Dharma Tu” playing on loop, August 15th becomes a signifier of the Indian in each one of us. As a parent to a toddler, this was our first Independence Day when we sowed the seeds of the Indian identity on V. In a fun exercise of dress up and role play I told him about Bhagat Singh. 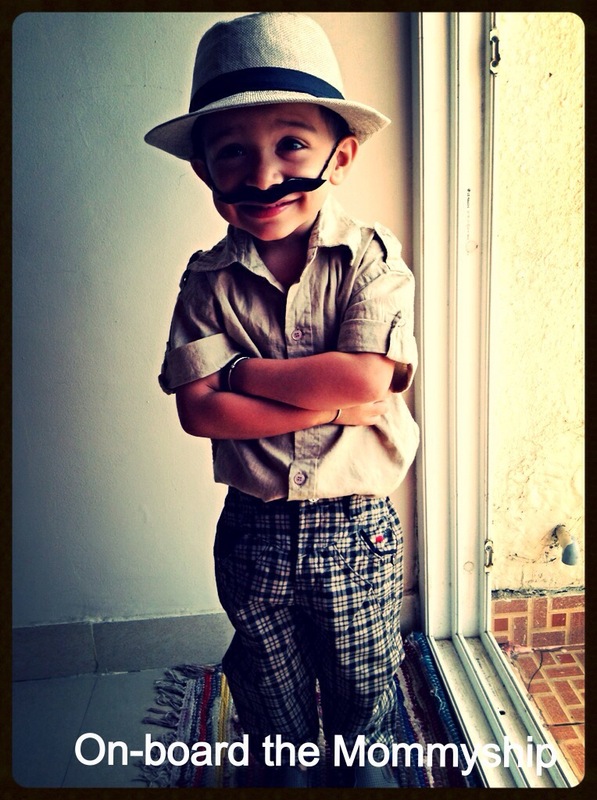 With a hat and felt moustache in tow, the little boy quite felt like a man! At school he went on stage said the lines. His Principal said he was excellent…his teacher attached a note for the parents. In what was his first elocution day, it added a pretty memory for all of us. Thanks to his school he now knows the national anthem as something Devyani Ma’ am sings and guess what Mum-um knows it too! He identifies the cluster of saffron , green and white as a flag. And takes great pride in throwing his tiny fist in the air saying “Jai Hind”. The Indian identity is a complex thing…and no amount of deshbhakti sermons can rouse a thoughtful countryman. Let’s hope V grows up to understand the history of this country, love it and do his bit in making it a better place. I also hope he grows up to appreciate the true spirit of freedom and independence as a human being. As parents, we can only give him the playing field to experience freedom. What he makes of it will be his own doing. It’s easier said than done. I promise to not impose my expectations on him. Does that mean I give up on him? Surely no, but I would rather equip him with the tools to set his own expectations of himself. I would rather have him set his own targets and goals in life. I would rather have him set his own standards than follow his peers. His books. His toys. His clothes. His hobbies. His passions. His love. His profession. His life. I hope he has the craziest dreams in the world. More important, I want to have the nerve to see him live his dreams! Is it always about the acceptable pursuits in life? I have to be ready for the unexpected…I hope bungee jumping and moto-racing aren’t in them! Failure teaches more than success and winning. Why does failure have to be a negative word? Why is it feared? Why does it not motivate? I will let him fail. Fall. Bruise. Wound. And rise again. As parents what we say is not the Holy Grail. We are humans too, prone to weaknesses and failings. We can go wrong too…and we will at some point of time. It is then we will need a son who won’t mince his words and tell us what we must do. ‘Is he walking yet?’ ‘Is he talking yet?’ ‘He is 2.5 years, why isn’t he in playschool yet?’ V has a crazy set of parents who care a zilch for what the world says…so all he needs to do is go ahead and have the courage to be different! Go on and shine, my boy! Ah hello! I hate making excuses but I know I have been away for a long, long time now. So it feels to go straight into the post without a short preamble. We’ve had a terrific time in all this time (more on that later), but one of the things that we have done in all this time is discover the world of children’s literature! In the past 6 months we have built our home library book by book, adding resources to my story sessions and designing easy-to-do book related activities. The latter, as I discovered is a fun thing to do. As adults when we read we internalise the reading experience by our thoughts. For children the experience of reading a book must be extended beyond the reading the story. Children are wired to make connections. They like to decode the world around them and in an attempt to make sense of it they have an innate ability to connect the dots. 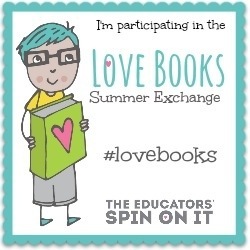 So when Educators Spin On It decided to host the #lovebooks summer exchange we jumped right in! We sent Rashmi a book and package. I didn’t blog about it because I waited for her to receive and review it first. I will share my ideas on a separate blog later. 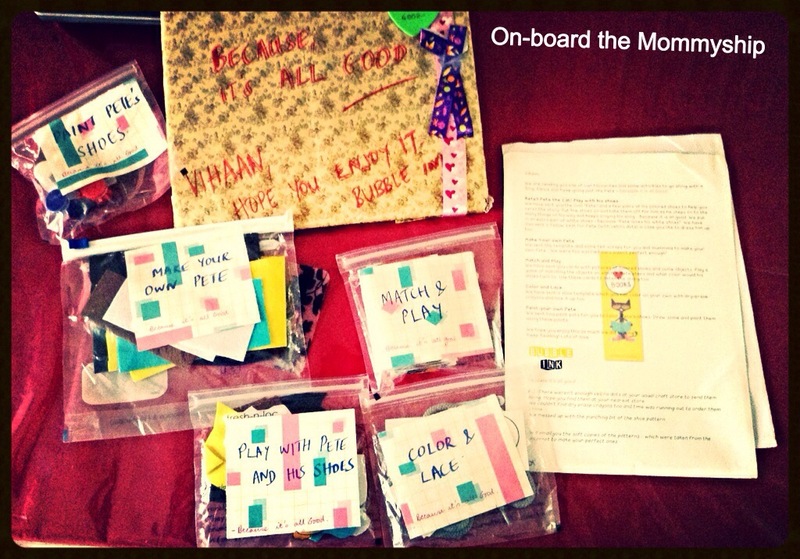 Here is what Rashmi thought about the package On-board the Mommyship sent her. It was our turn! The lovely Bubble Ink and I were paired and voila! She was right…V (we) instantly fell in love with the book she sent us! Bubble Ink chose Eric Litwin’s supercool cat Pete and sent us the book Pete the Cat I Love My White Shoes Bubble Ink sent us 5 activities with the book. I loved the way she packaged it all in neat zip lock pouches. Her labelling was uniform and hand written. She also gave us an extensive guide to the activities. I hid the activity pouches from V because I know he would jump on them! But of course we began by reading the book. So what’ s the book about? 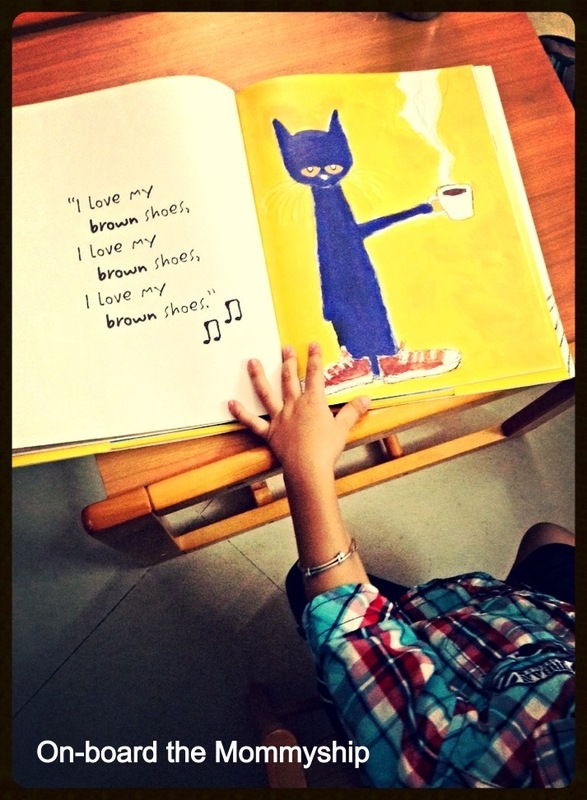 Pete the Cat is an awesome cat who loves his white shoes. He loves them so much that he walks in them singing his favourite song. I love my white shoes I love my white shoes I love my white shoes The book blurb describes the author as: Eric Litwin (Mr Eric) is a guitar-strumming, song-singing, banjo-picking, tale-telling, harmonica -blowing, national-award-winning folksy type of guy. Eric Litwin has a version of the shoe song…but since I didn’t want to go and look it up in the midst of our reading, I made up one of my own! V loves music. And over a period of time I have noticed that he loves the books in which I sing. I am not much of a singer but while telling a story and reading a book, I like humming, or making up a song from the words of the book. Sometimes when we don’t want to read books we sing them too! Yes…the whole of it! I Love My White Shoes therefore was an easier song to sing. Needless to say that while doing the activity, V sang the song while we went over replacing the shoes. The first activity that we did after reading the book was re telling the story. Bubble Ink gave us wonderful felt cut outs of Pete the Cat and his white, red, blue and brown shoes. We re-read the story, sang the song and did our own re telling. I would have ideally liked to do one activity a day, but my little enthu-cutlet had other ideas. Next up, we tried our hand at the lacing activity. 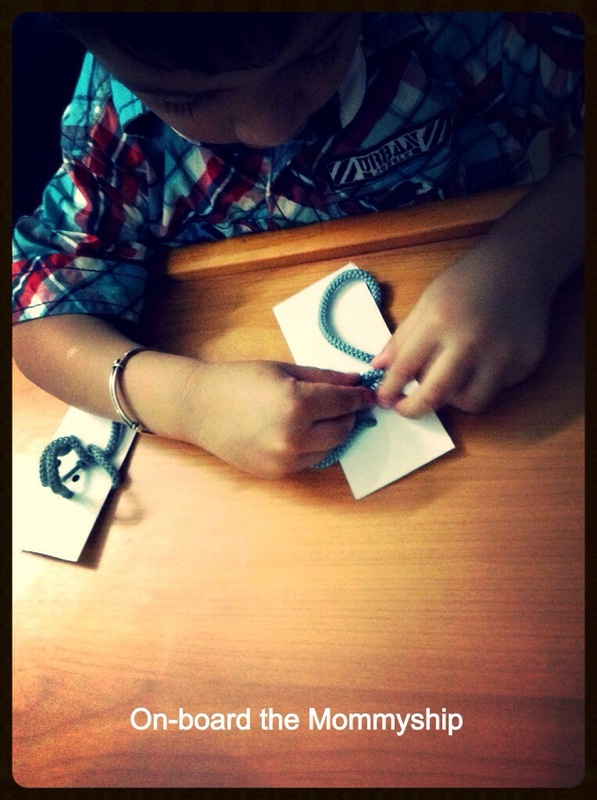 Now I have been planning to make lacing activities for V. When he was a bit younger I made one using an egg carton and pipe cleaner. But then I was looking for a more durable material. 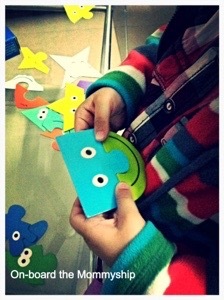 Bubble Ink gave us shoe cut outs in a plasticky material which definitely is a ‘must have’ for us now. Since this was V’s first time, he struggled a bit to understand the activity.like any other independent toddler he wanted to figure it out himself. This one needs some more rounds of practice. The third activity for the evening was colour matching. Bubble Ink gave us. Wonderful deck of colour sorting cards…with coloured shoes and matching coloured objects. V is good with colour sorting and he didn’t need help in this one. He loved it though and we did this activity several times after our first attempt. We often carry our books, toys and activities to the dining table. They are perfect accompaniments to the (sometimes fussy) little eater. We keep those hands busy and the mouth opens up to whatever is on the plate! So one fine day at the breakfast table we did the fourth activity of paint the shoes. Which toddler doesn’t love the exercise of dipping his fingers in a pot of paints? 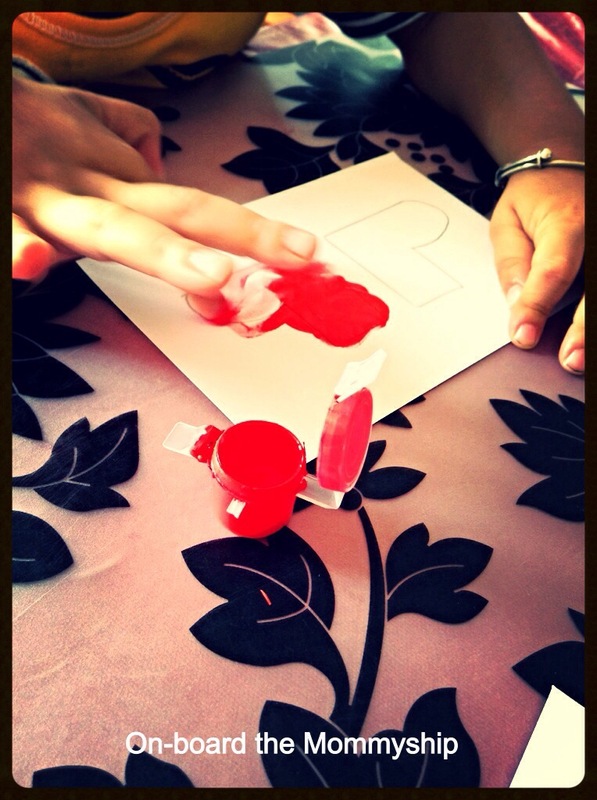 Dip, dip, dip and splitter, splatter across the drawings…V loved to get his hands messy with the paints. The fifth activity where mommy had to cut out Pete and his shoes from felt was not as much a winner. V preferred the Velcro version as Bubble Ink made in her kit because they stuck and stayed. He enjoyed the whole exercise of sticking and peeling the shoes from the Velcro dots. Bubble Ink was right…Pete the Cat is an excellent story for my sessions and currently out is reigning as one of V’s favourites. We replay the activities of shoe lacing, re telling and colour sorting while we croon…“I Love my white shoes …because it’s all good! A special thanks to Educators Spin On It for facilitating the books exchange! What's on my plate, Momma?